Type in the email address that you used to register your account. 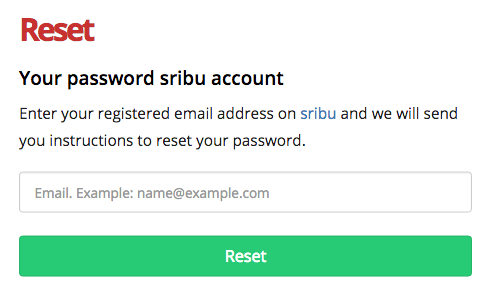 Sribu will send you an automated email to reset your old password. 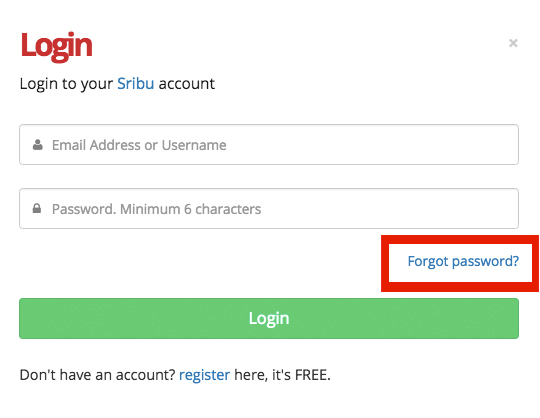 Check your inbox to find an email from Sribu which will direct you to reset your password. Click it and follow the link. Key in your new password and final confirmation password before pressing the " Submit" button. You will immediately be directed back to your Sribu client account. If you are yet to receive an email reset notification from Sribu within 30 minutes, please check your junk or spam folder in your email account or contact our customer service via email at ask@sribu.com.